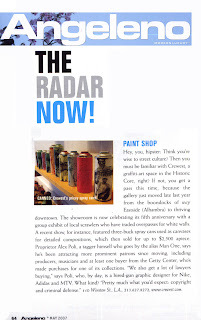 We got a nice little blurb in the hard to get into Angeleno Magazine. I guess we are now officially on the radar! Click on the image to get a good read.